Work Ticketing System (WTS) offers an all in one solution at a fraction of the cost of other work order management systems. It is the perfect solution if a current third-party work management system is not in place. Productivity is improved when users receive work tickets, accept jobs, and alert supervisors when tasks are completed. Dispatcher logs into WTS and creates a new ticket. The ticket is sent to the intended recipient who reads it on their device and responds. The response shows up on the dispatcher’s WTS screen immediately. The web app works alongside Teldio Gateway to ensure consistent communication. WTS offers a variety of features to help increase communication & productivity. Web-based ticket portal: Dispatchers and administrators can dispatch tickets by logging in to a web portal on the local network via a desktop computer or mobile device. Dispatch to different types of users: Work tickets can be dispatched out to radios as a text message, job ticket, Smart Ticket or to smart devices as an email. Trackable ticket activity: See how long a ticket has been active when it was last responded to and by who. Customizable properties: Each property can customize their work ticket types, responses, and white-label the portal. Auto-set ticket types: Admins can set message formats (job ticket, Smart Ticket, text message or email) for specific ticket types. Work ticket log: Detailed Ticket and User access logs are tracked and can be downloaded as a CSV. 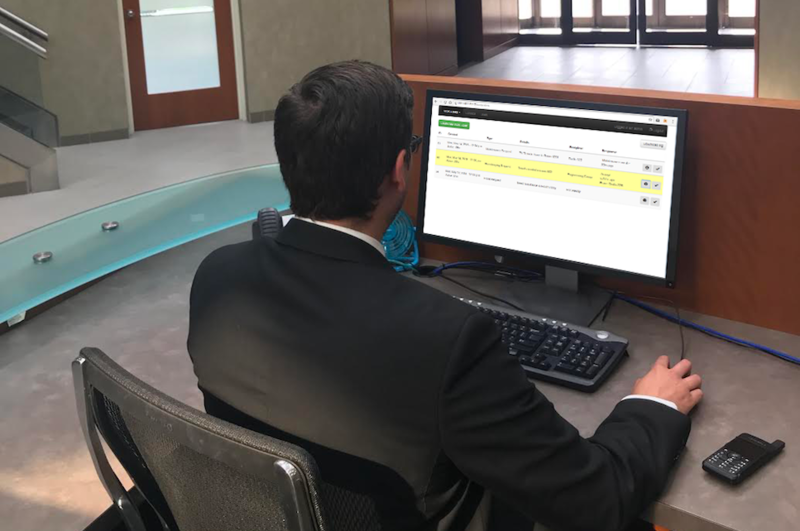 Teldio’s Work Ticketing System (WTS) is also compatible with Smart Tickets ensuring that work ticket management runs smoothly from beginning to end. As a team member accepts and closes a work ticket, the remaining group members’ radios automatically update the work ticket’s status. Learn more in our Smart Tickets brochure. Decrease response times: A machine issue arises within a production facility. The machine operator quickly notifies their supervisor of the issue, who sends out a ticket to all mechanics. A mechanic accepts the ticket and proceeds to resolve the issue in a timely manner. Improve employee visibility: A supervisor at a healthcare facility needs to know the status of tickets at all times. From there they can ensure all patients are receiving their treatment at the appropriate times depending on their level of severity. Enhance communication: A guest needs new towels in their room. The Front Desk operator sends a request to all Housekeeping employees as a Smart Ticket. When one person accepts the ticket, the other users are alerted that the task is handled. To learn more about WTS check out our WTS brochure. For more information please contact us, we are always happy to help!